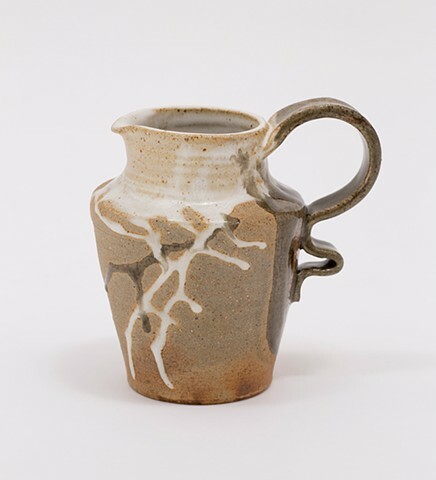 Open, vital, flowing – The milky white glaze overflows from the mouth of the vessel. It reaches over the coarse terrain, the handle posing no objection. The layering of celadon and white drips speaks of shared and intertwining pathways.